According to the Environmental Protection Agency, Americans produce about 4.40 pounds of trash per person every day. This isn’t an insignificant statistic, and the issue that it highlights is our failure to dispose of that trash appropriately. The junk that we want to discard contributes to the 254 million tons of solid waste that the United States produces annually. Product packaging that attracts your attention in the grocery store quickly ends up in trash bins along with furniture, bottles, appliances, food scraps, clothing, yard trash, and hazardous materials. The EPA encourages everyone to practice waste prevention – including composting and recycling – but those efforts alone reduce the volume by only 87 million tons or about 34 percent. People who recycle and compost reduce their total daily waste generation by approximately 1.5 pounds. Garbage removal companies face the unique challenge of removing unwanted junk. Hiring garbage removal services can sometimes be expensive or inefficient, but with a bit of legwork you can find a reliable business with quality services. Ultimately, they serve a specific purpose, but it’s a task that can be done without the assistance from professionals. Here are some tips to save you money and stress when dealing with excess junk! An alternative to hiring someone to haul your junk away is a landfill where you can drop off your unwanted possessions, but the task is probably more difficult than you think. The space that a landfill requires usually puts it in a remote area – far from restricted areas that include wetlands and floodplains. Even though the management of the facilities has the earthmoving equipment to backfill dirt to cover the rotting garbage, strong odors there can make the air unpleasant. While many municipalities let you discard a certain amount of your junk for free, you need to present your tax bill to a landfill official to prove your identity. The process of weighing your garbage usually requires a long wait as one vehicle at a time rolls onto the scales to see if its load qualifies for free service. Once inside the facility, you find separate bins for different kinds of junk, and landfills tend to place collection containers for hazardous materials at another location. There are typically no employees available to unload your junk. Professional garbage removal companies take the responsibility of managing the disposal of your trash and waste seriously. Any refuse that you place in public spaces has the potential to harm someone, and you need the assurance of knowing that it goes to the landfill on schedule. You can rely on reputable companies to pick up your garbage punctually and to deliver it to a designated location. Your participation in recycling reflects a sense of responsibility and civic pride, and professional garbage removal companies enhance your efforts to protect the environment. Landfill authorities continue to develop efficient methods of extracting recyclable material from trash at the waste processing facility. Responsible waste removal companies locate the institutions that offer a complete service that separates like materials that can have a new life after recycling. 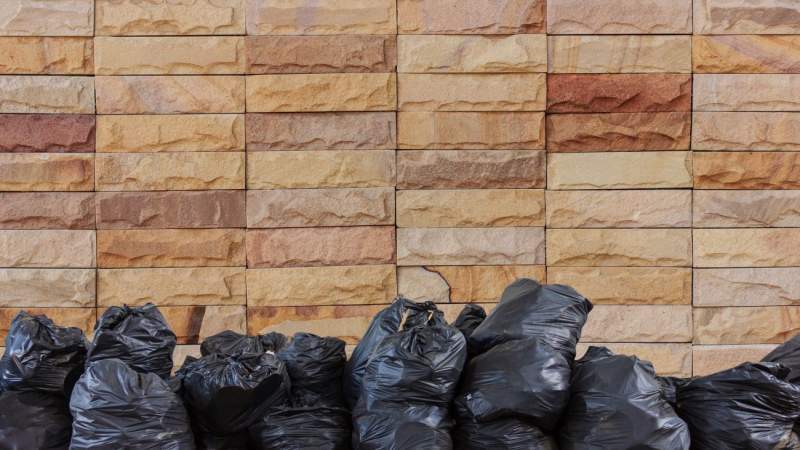 Garbage removal companies classify refuse in five general categories. Organic and general waste constitute the bulk of trash that people put at curbside. Yard waste requires a specific type of vehicle and workers to cart away limbs and trimmings. Many companies provide designated receptacles for aluminum cans, plastic, paper products, glass and electronic equipment. The removal of construction materials requires special handling. Some companies offer the service of a truck and driver to pick up items such as a mattress, broken toilet, bookcase, or sofa that do not fit into any category. Finding the Top Garbage Removal Companies in the U.S. The top-ranked companies offer a range of services that allows each one to specialize in a different area of trash collection. With a focus on disposing of hazardous medical and pharmaceutical waste, the company complies with complex regulations that ensure the safe handling of dangerous materials. Stericycle has the expertise and the motivation to manage the trash disposal functions that relieve large and small businesses of the complications that they present. Clients can dispose of waste products that require special handling for sharp medical tools and hard drives. The cost for their services varies by demand, and the company provides a free quote. With an emphasis on recycling, the company supports the concept of solar capture, a technology that turns landfills into solar farms. At its first energy recovery center in Texas, the landfill generates sufficient electricity to provide power to about 5,500 homes. Republic has a track record of safety and efficiency in its curbside pickup service, and it offers to remove bulk waste items as well. Its dumpster rental service provides solutions for disposing of waste from large or small home improvement projects, and it has a line of services for businesses that constitute part of its 14 million customers. The company offers a pricing statement on its website. As an industry leader, Waste Management supports the mixed recycling concept that lets you put all recyclables in one bin. The company adopts the approach that makes one container offer multiple benefits by allowing recycling technology to do the work of sorting. Waste Management provides curbside pickup, dumpsters, portable storage and a range of services that appear on a sample pricing list.